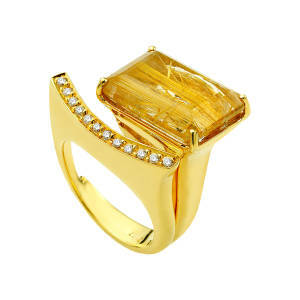 A one of a kind ring featuring a honey colored princess cut rutilated quartz offset with a row of brilliant cut diamonds set in 18 kt yellow gold. 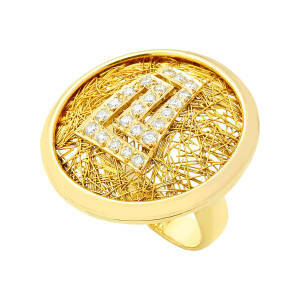 An ancient Greek symbol inspired ring made of 18 kt yellow gold studded with diamonds. 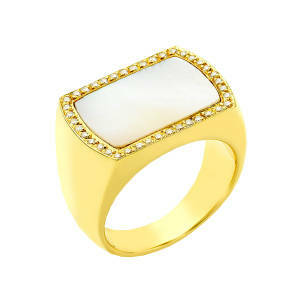 Sleek rectangular cocktail ring made of 18 kt yellow gold with white fidici marble encased in 0.18 ct brilliant-cut diamonds. 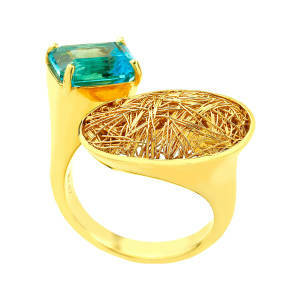 Empress ring - a one of a kind ring featuring a 3 ct princess cut blue topaz and a textured gold oval. 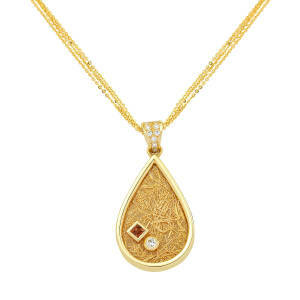 Tear drop shaped 18 kt yellow gold textured pendant studded with brilliant-cut diamonds and a tripled 18 kt gold chain. 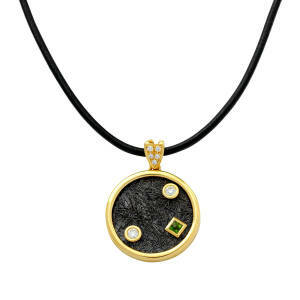 Cosmos pendant made of 18 kt yellow gold studded with brilliant-cut diamonds and tourmaline dangles on a leather chain.